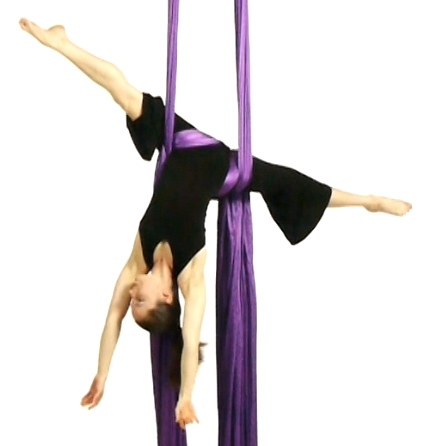 Last blog, I (Rebekah here) rambled on paper about what could be the meaning of “aerial theory” a term that I use all too often without thinking about. Here, I’ve settled into some thoughts and coined some new terms to explain myself and the ways in which my “aerial brain” operates. The Theory of Aerial Technique could be defined to be a “system of ideas intended to explain how to perform aerial skills, especially based on general principles independent of each skill itself.” I am now realizing that most people are talking of this field of study when they generally speak of aerial theory. Dara Minkin’s latest book, Proximity, is intended to study this exact concept. If you learn a back balance on sling, theoretically, the concept then will transfer to all the other apparatuses. Dara systematically goes through what she calls “archetypes” of aerial, using sling as her base apparatus, to uncover all the various places we traverse as aerialists. When you are good at technique, you understand how one concept transfers to a new, unfamiliar wrap or position. 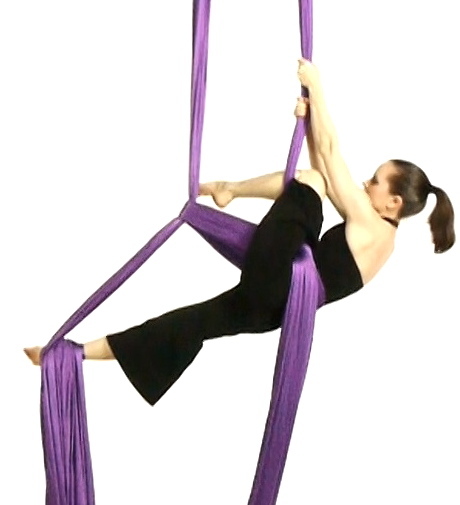 Whenever you have an idea that you can abstract from one move and take it to another, especially that of your body mechanics and muscle engagement within a wrap or move, you are looking at the theory of aerial technique. The Theory of Aerial Teaching can be defined as “the set of principles on which the practice of teaching aerial is based.” There are so many ways to approach teaching a new skill! Making those individual choices and why we choose one pathway over the other is all part of the theory of teaching. Do you show the whole sequence and then break it down or do you show all the piece and then put it all together? Did you know these teaching structures have names (in this case, part->whole versus whole->part teaching)? This is the kind of fun stuff we get into in Teacher Trainings. There are so many ways to approach teaching and theories about how to organize or structure your lessons to best meet the needs of different populations of students. 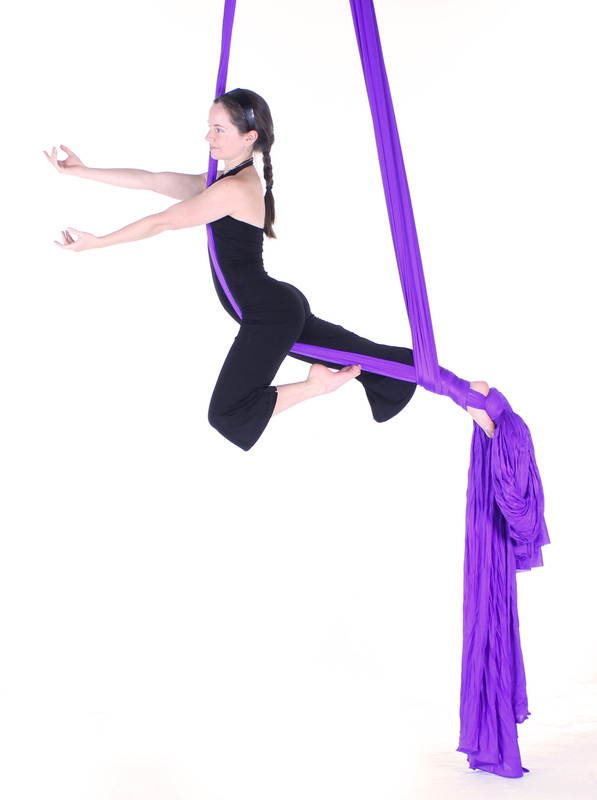 A great resource to introduce you to some theory behind teaching aerial is Julianna Hane’s Aerial Teacher’s Handbook. That book will help you get started in this track of study. If you like to geek-out with others about teaching theories, you should look into live teacher trainings! See our Born to Fly Teachers website for more information. One act creation theoretical question I have been exploring recently is how to appear grounded while being in the air. I love the genre of hip hop and break-dancing. A few years ago, I tried to create a piece that took hip hop to the air, and I struggled! Without having the ground to push off of and pound on, I struggled to find a way to feel grounded and hit those beats while floating in space. This is an example of studying the theory of aerial act creation. I would love to see more developed in this field. *NEW TERM COINED* You heard it here first…. I have been working on my own theories in this realm for quite some time, and while I haven’t published anything on the topic quite this explicitly yet, I finally am doing so because I will be giving my first ever lecture on the topic at the upcoming Aerial Theory Summit, hosted by Aerial Horizon in San Antonio, Texas. Catch me there amongst other great theory-brains. Go here for more information. Next blog I will be writing more about Aerial Taxonomy and why you should love it too!